In April I said, "Yes to the dress!" Yesterday, I was able to go pick up my dress (It takes a while to order those things!). While waiting to use the rest room at the bridal shop I chatted with a woman who was there to watch her future daughter-in-law try on dresses. The woman was really sweet and she kept referencing "Say yes to the dress!" ...You know the TV show where women spend thousands and thousands of dollars on a dress? Well, It got me thinking that for me trying on dresses was nothing like it seems on the TV show. It was fun, don't get me wrong... But it also was stressful! I remember walking into the first shop we went to and instantly feeling sick to my stomach. The sheer number of dresses is so overwhelming. The millions of styles of dresses is overwhelming! Also, trying on dresses makes this lady HOT! I was roasting! I ended up finding the dress "of my dreams" at an adorable bridal shop on the second time around. My advice: Every dress is beautiful in its own way. If you don't feel the water works or "the feeling" its probably because it is possible there are millions of dresses that could be "the one". Have fun shopping and pick one that you think is beautiful, comfortable, and your style! Ahh! thank you!! =] I can't wait to wear it now! Thank you!!! =] Can't wait to take that thing out of hiding!! I know exactly what you mean! I just got married in May and the whole process is so fun but also overwhelming! Wedding dresses are so beautiful that its hard to choose. 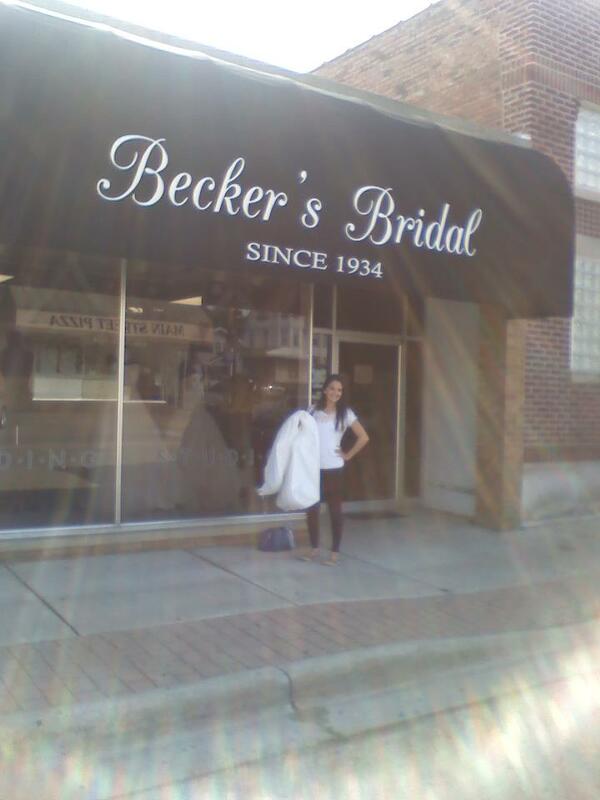 So glad you found the dress! I love the show say yes to the dress! Im glad you found the one of your dreams. :] i bet is it more beautiful than those expensive ones! I can't wait to talk more about my wedding stuff (especially the dress!!!) on here after the wedding!! Haven't started shopping yet, do they let you try sitting down in those dresses?? ?